Hey friends! 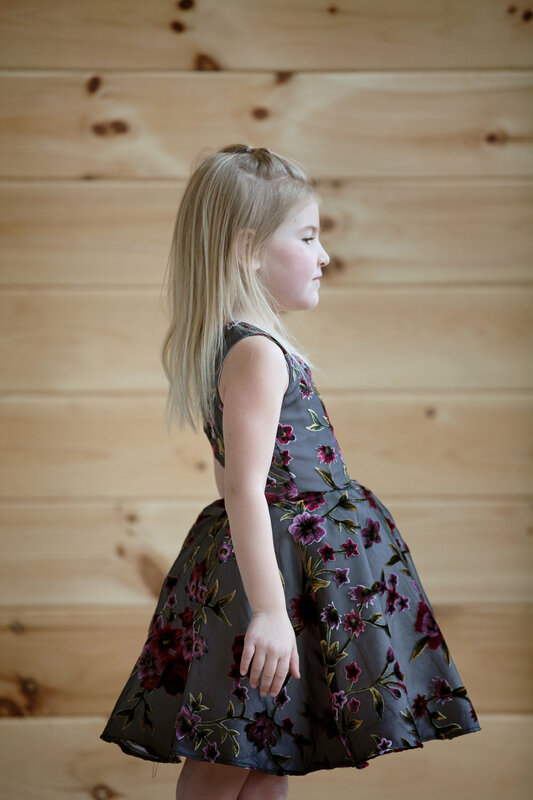 Cassie here from Lily Shine Creates to share my latest sew, the Elizabeth Party Dress by Mod Kid Designs. Elizabeth is the quintessential party dress with a sweetheart bodice, optional peplum and twirly circle skirt. The bodice has beautiful princess seams and an invisible zipper closure. Elizabeth is available in sizes 2-10. You can sew the hem with horsehair braid for a special occasion look. The pattern is written for the intermediate sewist and does not have the layer printing option. I wanted to take this Elizabeth over the top so I made the dress from a burnout velvet mesh with a lilac lining. The burnout velvet is actually on black mesh, but with the lilac lining the floral velvet detail really pops! I didn’t add the peplum because the fabric was quite busy and I really wanted to showcase the hint of velvet. I adore the sweetheart bodice and the feminine detail of the princess seams. The pattern does not include a sleeve option but I could see adding a gathered long sleeve or even a flutter sleeve would be a super cute addition! I didn’t have horsehair braid on hand but I did have a whole lotta tulle!!! I created a pettiskirt with a circle yoke so that the waist seam was tidy and not bulky. If you want to see my step-by-step tutorial for the pettiskirt, see my highlights on Instagram. Had I omitted the pettiskirt, this dress would have sewn up in about 2-3 hours. The directions were well written with illustrations for each step. Elizabeth is such a fun party dress! When making a special occasion look I really love when the closure matches the fabric and style of the dress. The invisible zipper is a great finish! If you’re on the hunt for a new party style, be sure to grab the Elizabeth pattern! Cassie is sewing the Elizabeth Dress By ModKid Designs. This dress is perfect for the upcoming holiday parties! How amazing it is when moms and daughters develop a passion together? This Sage pattern by ModKid is awesome and the mother and daughter bonding time can’t be beat! The best part is that its school approved for this young lady!! Summer time demands a great tank! 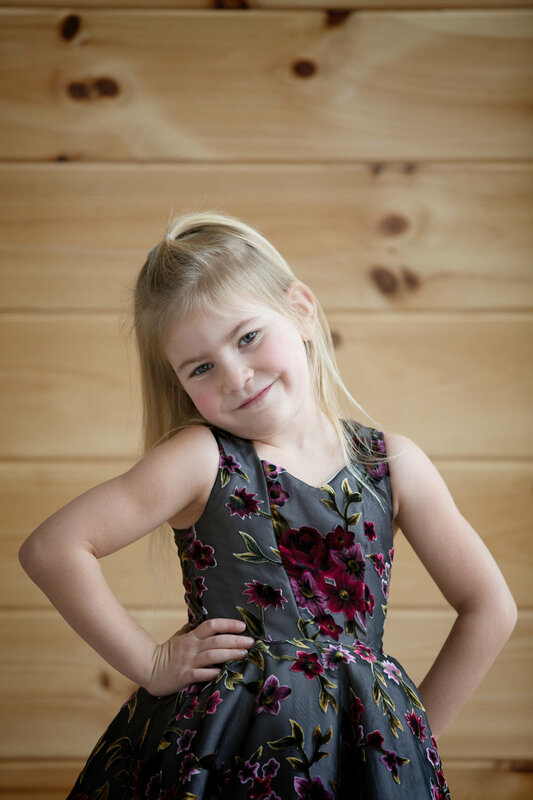 Rachel and Jackie have sewn their girls some adorable tanks that are perfect fits along with perfect style. How cute and light is this Brynn top and Spring Break Shorts by Modkid? Pockets and cut out backs are the perfect summer combination. Rebecca sews her version of the Steffi with leggings and it could not be cuter! Chris also sews another adorable version showing the variations of the Steffi. Today Gloria sews up and ensemble for her much needed cruise using patterns from ModKid. The Hailey Cover up, Sun and Surf Tote and the Jewelry Roll have Gloria ready to roll......to the pool! The Maddie Skirt from MODKID is a cute and quick skirt that can be sewn in woven or knit fabric. So we know you are all excited about the BundleUP! 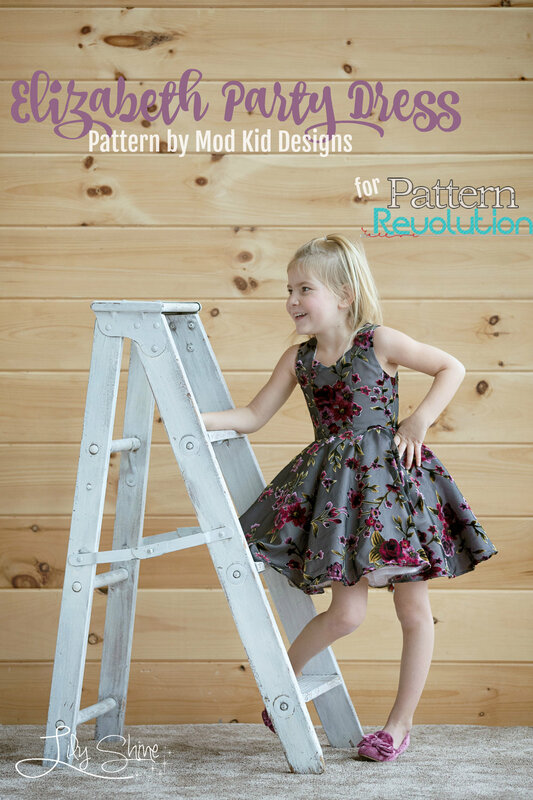 Patterns, we have shown you reviews and the patterns sewn up on adorable models young and old. This week, we are going to show you that some of these patterns might have a bit more versatility that you thought at first glance.